Gavin Lurssen is the owner and chief engineer at Lurssen Mastering in Hollywood, CA. Gavin has four Grammy® Awards, his most recent and first Latin Grammy was awarded November 2010 for his work on Diego Torres' album Distinto. In 2009 he won a Grammy for mastering the album Raising Sand, performed by Robert Plant and Alison Krauss and produced by T Bone Burnett, which won the Album of the Year category. In 2002 he received a Grammy for the O Brother Where Art Thou? album which won in the same category. Gavin also won in 2004 in the Best Historical Album category for his work on the box set that accompanied the PBS television series, Martin Scorsese Presents the Blues. Raising Sand also won Gavin and Lurssen Mastering two TEC awards in 2008 for outstanding facility and for mastering. 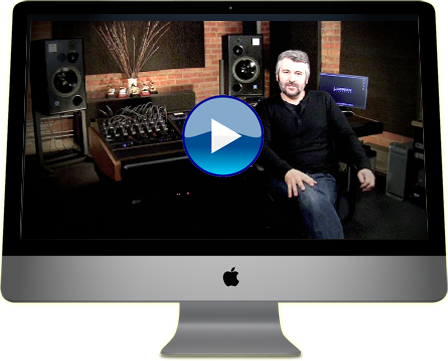 Sonic: What’s your production workflow at Lurssen Mastering? Gavin: The way we work at Lurssen Mastering is that we use analog processing equipment no matter what the source material is. After we process the audio for optimal sound by today's mastering standards we convert back to digital and then into the work station. The raw unedited files then get taken to an editing suite to be cleaned up an and having the spacing and cross-fades set and whatever edits are needed. This work is either done by the mastering engineer or a production engineer familiar with the project. As a result we have two to three editing systems running simultaneously all day long, and that includes the system to which the files are recorded in the mastering room. Sonic: What were your requirements when you specified your gear for this new facility? What led to the overall choice of Sonic Studio components? Gavin: There are several elements to the decision. The first priority is being that it has to sound good. I have been an original Sonic Solution "Classic" user since the early 1990's and once we found the right cables and clocks and other little things that made that system sound good it became my benchmark. I found some other systems based on PC that sounded pretty good but I am comfortable on the Mac so that was another consideration. The Sonic was the first professional mastering system that worked for Mac OSX and it just fit into the way we do things here. Sonic: What role did our Sonic's editing model play in the decision? Gavin: Four-point editing was comfortable because we were already comfortable with the Sonic "Classic" model which pioneered the concept of source-to-destionation editing for the DAWs; which of course was mirrored from Sony's 1630 hardware editor. And, NoNoise II which is still unrivaled and very useful for removing all kinds of unwanted noise problems, especially in some of the catalog work we do.